Naomi Touchet at the Concur offices in Bellevue, WA. Naomi Touchet ’17 served as a web development fellow in Evergreen’s marketing and communications division throughout her junior and senior years. The experience continues to inform the work she does now, as a young professional working in web security. Just months after graduation, Touchet was offered a position on the application security team at Concur, a Bellevue-based company that creates and distributes software. Her team’s main focus is maintaining the security of the company’s travel and expenses software. “The software that we make is used all over the world,” said Touchet. “Millions of people’s credit card’s transactions go through it every day, so our work is really integral to keeping that data safe. Touchet models LED-lit, pressure-triggered color-changing sneakers that she created for her class Physical Computing. 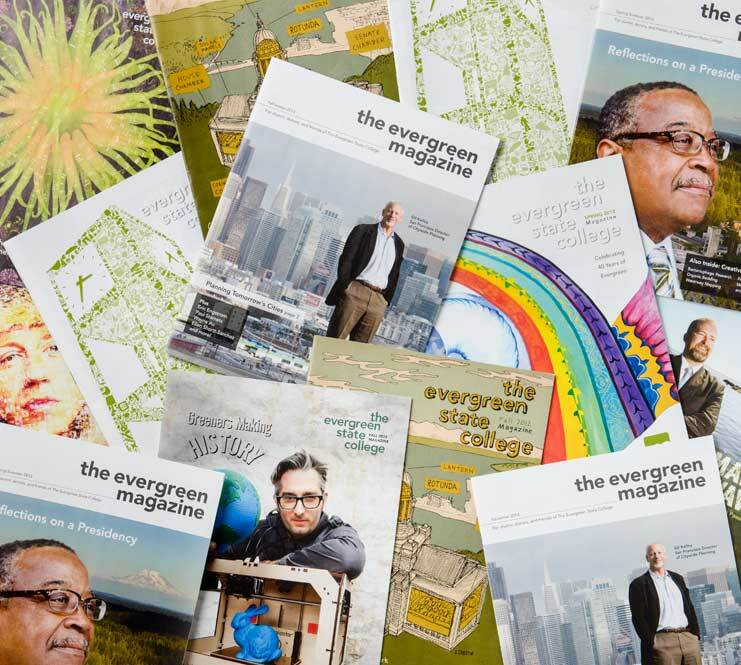 “At Evergreen, Touchet helped develop web pages meeting the college’s wide array of online communications needs. Supported by Evergreen alumna Lynda Weinman ’76 and her husband, Bruce Heavin, the fellowship creates opportunities for students to apply their education to real-world situations. “While at Evergreen, I got to take the experience I’d had prior to going to school—working as a freelance web developer and designer— and learned how to collaborate with a small team and how to use my skills to shepherd a project to completion,” Touchet said. Touchet found that the experience she gained creating web pages applied surprisingly well to her current work with Concur. “[It is] actually a perfect merge of what I did as a fellow at Evergreen and what I studied,” Touchet said. “It’s allowed me to take on a special role on my team, because I have security knowledge and I’m also able to communicate and talk about these issues with the rest of the organization,” she said. Touchet is hopeful that her current employment will lead to bigger and significant opportunities. 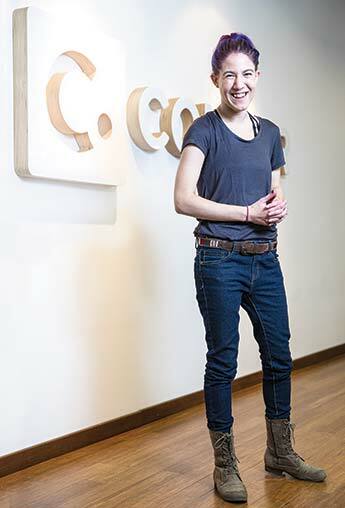 “I really hope to be able to collaborate to make changes and bring about a different, better future,” she said. Michael Muench is a junior at Evergreen and a news and feature writing fellow in the college's marketing and communications division. His fellowship is also supported by Lynda Weinman and Bruce Heavin.